The members of the Undergraduate Student Government Sustainability Committee are writing you to express the widespread concern among the Tulane community regarding climate change. 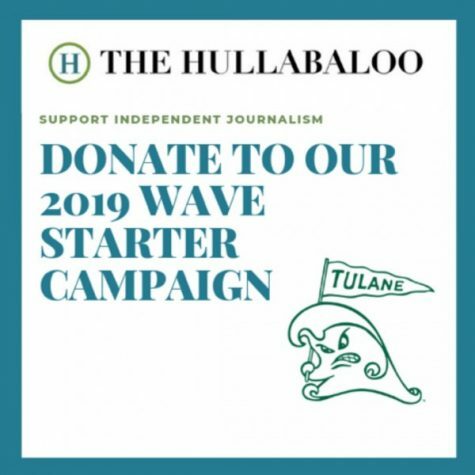 The purpose of our committee is to foster sustainability at Tulane by promoting care for our local and global environment and as such, we would like to convey to the administration the need for our university to take further action to address climate change. The 2019 Tulane Climate Action Week, which took place March 18-21, included a range of events focusing on the issue of climate change. This full week of events is a notable expansion of the Tulane Climate Action Day conference Tulane hosted last year. Events were sponsored by a range of campus departments and organizations and included a careers-in-sustainability panel, an environmental research poster session, a films and panel discussion, a poetry reading and a keynote presentation by ethicist Kevin O’Brien. In addition to scheduled events, professors across departments including the School of Liberal Arts, the School of Science and Engineering and the A.B. Freeman School of Business dedicated their classes to the topic of climate change during this week. These events were widely attended and well-received by students and faculty from varying fields, illustrating the interdisciplinary nature of this issue. The USG Sustainability Committee has been working on a number of projects to improve sustainability on Tulane’s campus. This past year, our committee worked with the Tulane Office of Sustainability to implement a fifteen-cent charge on all single-use bags on campus. The response to this initiative has been overwhelmingly positive. Some of the student projects currently underway include paper recycling expansion, establishing a revolving sustainability fund, installing more water bottle refill stations and creating transportation fleet fuel standards for the University. Center for Environmental Law, which was attended by Tulane President Michael Fitts and Louisiana Governor John Bel Edwards, and the 24th Annual Tulane Environmental Law & Policy Summit. The widespread recognition of the Tulane environmental law program reflects the respect for the environmental leadership that Tulane has exhibited. The concern regarding climate change is one felt broadly across the Tulane community. Spanning academic and extracurricular fields, climate change is an environmental, social, political and economic issue that will have devastating impacts globally and locally, especially here in New Orleans. We urge the Tulane administration to listen to the interest and concerns expressed across the Tulane community and to scale up action to address climate change. The USG Sustainability Committee respectfully suggests that the Tulane administration make a commitment to complete all remaining near-term portfolio reductions outlined in the Tulane Climate Action Plan. Additionally, we urge the administration to commit to providing yearly representation at the Higher Education Leadership Summit presented by Second Nature and the Intentional Endowments Network, as this is the yearly meeting associated with the Presidents’ Climate Leadership Commitments signed by President Cowen. The 2020 Summit is scheduled for February 23-25 in Atlanta. 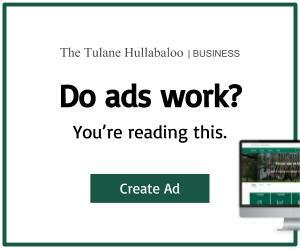 We hope that the administration will recognize the interest and involvement across the Tulane community and carefully consider the recommendations that our committee has suggested. With Earth Day approaching on April 22, it would serve as a felicitous opportunity for the administration to announce a commitment to heightened action combating climate change in our operations, service, education and research. Finally, we hope the readers of this letter will join with us in calling for change.